That phrase has haunted the NCAA as it struggles to justify the current system of money in college athletics. But it now appears that the question is no longer if some athletes will receive compensation, but where the money will come from. With multi-billion dollar TV contracts and merchandising money that never makes it into the wallets of the athletes who play on these teams in the first place, some argue that the NCAA cannot continue to pretend that college sports are amateur athletics. Take a school like the University of Florida, which had over $70 million in combined basketball and football revenue in 2009-2010. Yet even with scholarships, many on- and off-campus athletes were still living $2,250 below the poverty line, according to the National College Players Association. And after a federal court judge ruled Jan. 30 that the NCAA couldn’t block college football or men’s basketball players from claiming a portion of TV revenue, accompanied by renewed talk of stipends for athletes, the dialogue around the “play for pay” debate has shifted. While admittedly flawed, taking money from TV deals is the best option for college players. It would be an additional form of revenue that wouldn’t necessarily detract from universities’ academic budgets. But in reality, compensating athletes beyond scholarship money might only further complicate the world of college athletics. College athletes are worth a lot of money. The PAC-12 conference recently just signed a TV deal that is worth at least $225 million over 12 years, which students won’t even receive. Even at a smaller, less prestigious conference like the A-10, the same principle still applies in that any revenue the school receives from its athletic program won’t make it directly into the hands of athletes. The NCAA is considering providing a $2,000 stipend for some athletes on top of any financial aid money they may receive. But to make this possible, that money would have to come from athletic departments themselves – few of which are even profitable – and would only create more competition amongst colleges to attract top recruits. This would inevitably siphon resources from other parts of universities, such as academic programs, and could skew the priorities of otherwise prestigious institutions. While the NCAA’s stipend plan may be implemented through a need-based system, this move potentially limits access to federal financial aid money, thereby not actually putting more money in the pockets of students, according to a Jan. 6 article in NPR. That’s why paying players through TV deals is the best option. It would address the root of the problem – which is that athletes aren’t receiving the portion of revenue they help to create – and wouldn’t have a direct effect on academic budgets. But even this plan has its problems. It doesn’t seem fair for men’s basketball and football players to get paid while other student athletes who don’t produce millions of dollars of revenue may be left without checks. Students in high-profile collegiate sports aren’t the only ones living below the poverty line – other athletes could use the money, too. And conferences like the A-10 that don’t have large TV contracts, don’t have the revenue to pay athletes as much as other schools. If this were the case, then we would have athletes matriculating to universities for no other reason than the institution being the highest bidder. College athletics are built on a flawed system that is bound to change in the near future. But before any significant changes are made, we have to be careful not to make an already unjust system even more inequitable. 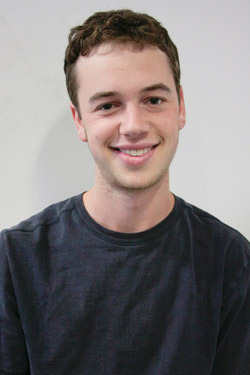 Doug Cohen, a senior majoring in political science, is a senior columnist.